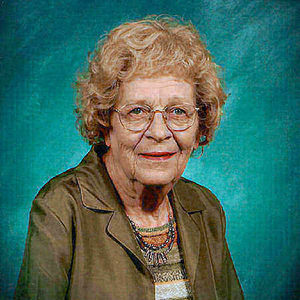 Mary Margaret (Moore) Mathre, 90, Wahpeton, ND, passed away Wednesday, October 31, 2012, at her home under the care of Riveredge Hospice. The Funeral Mass will be Friday, November 9, 1:00 PM, at St. John's Catholic Church, Wahpeton. Visitation will be Thursday, November 8, from 5 PM to 7 PM with a 7 PM Prayer Service at Vertin-Munson Funeral Home, Wahpeton. There will also be visitation one hour before the service at the church next Friday. Interment will be at Moore Cemetery, rural Wahpeton. Mary Margaret Moore, "Midge"; "Gigi" was born in Wahpeton (the old hospital on the south side) on December 22, 1921; to Clarence and Margaret (Formaneck) Moore. Her siblings were Helene, Geraldine, Cyril, John and Clarence Jr. "Badger". Mary attended country school in Center Township and High School in Wahpeton, graduating in 1937 at the age of 16. Her first two years of college was at the College of Saint Teresa, Winona, MN, working for Montgomery Wards in Wahpeton for a short time. Mary returned to Saint Teresa's to earn her college degree, becoming an English and History teacher. Over her teaching career she also taught Latin, Spanish and French. In 1943 she moved to San Francisco, CA and lived with her sister Helene. After receiving a call from Minnesota for a teaching position in Park Rapids she returned to the region. It was in Park Rapids where she met and married her husband, Martin William Mathre. To this union, five children were born. The family lived in Silver Bay, MN for twelve years, moving to various teaching positions at Glencoe, Moorhead and Glenwood, MN before retiring. The couple lived in Arizona before returning to Wahpeton, to her childhood home at the Moore farmstead. Mary was an active member of the Catholic Churches she attended, including St. John's Catholic Church, Wahpeton. She loved to dance and play piano. She enjoyed playing bridge, crossword puzzles and especially spending time with her family and her many friends. Mary is survived by her four children; Michael Mathre, Wahpeton; Maureen Mathre, Wahpeton; Mary Lynn Mathre, Howardsville, VA; Mark Mathre, Wahpeton; seven grandchildren: Talitha Emarine, Melissa Mathre, Aubrey Carter, Luke Dougherty, Sam Dougherty, Meagan Pauman, Ayla Mathre; nine great-grandchildren: Shane, Hammer, John, Jade, Nicolas, Marc, Amelia, Max and Braelyn. She was preceded in death by her parents, her husband, Martin "Red", her daughter, Melanie Carol (Ulner), two sisters and three brothers. Our thoughts and prayers are with your family during this difficult time. It's never easy losing someone you love. Cherish the memories as they will live on forever. Continue to share them through each generation. Love, hugs and prayers. Thinking and praying for your family during this time of sadness. Hoping your memories of Midge will bring you comfort. Our thoughts & prayers to Mark and the rest of the family. So hard to lose a loved one. We are thinking of you at this time of sorrow.